"An ugly political situation in Hungary has spilled over into academia, prompting an investigation of supposed financial misdeeds on one side and claims of harassment on the other. Humanities scholars are under investigation by the government for alleged misuse of research funds. But their supporters say they are the target of a government crackdown on critics..."
First, heartfelt thanks to John Bohannon at ScienceInsider for being the first English-language journalist to give these sad and worrisome developments in Hungary the international attention they so urgently needed. Let me try to describe the situation in a nutshell in 14 points, and then encourage all viewpoints to express themselves at the ScienceInsider site, openly -- and then let the world scientific/scholarly community draw its own conclusions. 1. Hungary is a small country with a difficult historical past and a language comprehensible only to its native populace and a very few courageous foreigners. 2. In this closed system an ever-repeating cycle has evolved in which there is extreme polarization ("us vs them") and blame for most problems is laid on the "enemy," with most efforts directed toward punishing the enemy instead of solving the problem. 3. The polarization divides roughly along right-wing and "left-liberal" lines, but these are not quite the same as they are in western europe and north america -- as will become evident if this discussion manages to bring the voices -- which are currently expressing themselves only in Hungarian -- out into the open. 5. So mutual accusations of corruption are completely uninformative and unhelpful. 6. The present "philosopher affair" concerns this same recurrent pattern: The Hungarian research grant system is extremely inefficient (as it is in many countries, but probably even moreso in Hungary), as well as very low on funds (as it is in many countries, but probably moreso in Hungary) because of the global financial crisis. The philosopher affair concerns alleged irregularities connected with research funding. 7. All researchers, everywhere, complain about the funding system: It is unfair. It gives too much money to unworthy projects; it is biassed; some research and researchers are favoured over others. Let's call these complaints that rival researchers (and rival research fields) make about one another all the time, everywhere, the "generic" complaints. 8. Researchers (and their institutions, and also their funders and funding systems) are also notorious for being sloppy and inefficient (they miss deadlines, they over- or under-spend budgets, they make accounting and reporting errors, etc.). This too is familiar. But researchers are also mostly honest, everywhere, and they try to remedy their sloppiness once it is pointed out -- or if the system becomes sufficiently efficient to make sure slip-ups are prevented from happening in the first place. Let's call these complaints about the implementation and efficiency of compliance with the funding system "systemic" complaints. 9. In addition, there occasionally occurs a genuine instance of major and intentional misuse of research funds on the part of researchers. If researchers do something that is against the rules of the research funding, their funds are revoked and they may have to pay a penalty. Let us call accusations of having done something like this accusations of "rule-breaking." 10. If the intentional researcher malfeasance is not only rule-breaking, but against the law, then the researchers are taken to court. But such things are very rare, and serious, so charges of having done illegal things are not made lightly. Let us call accusations of having done something like this accusations of "criminality." 11. Now it can be stated what is at issue in the philosopher affair in Hungary: A small number of philosophers has been singled out and accused of a bundle of things, but it is not in the least clear whether the things in the bundle are in the first two categories (generic and systemic complaints) or the second two categories (rule-breaking or criminal charges). The evidence has not been made known. The accusations are blurred and keep mutating. What is aired is mostly just generic and systemic complaints familiar to every funded researcher in the world -- and those do not distinguish the accused philosophers in any way from any other funded researcher anywhere on the planet -- and yet the blurred bundle keeps being treated as rule-breaking or criminal charges, and indeed police have been called in to investigate (with no result, other than researcher harassment by police investigations). They have also been looked into by a governmental research funding overseer (Gyula Budai). 12. The researchers involved are reputable researchers of long standing, some of them world famous. It is not stated why they were singled out for these accusations. The accusations and their targets are not the result of a global, systematic, random audit to detect malfeasance, within or between fields: They are simply a heterogeneous and constantly changing bundle of ad hoc accusations, levelled against these philosophers out of the blue, and then turned into a sustained press campaign of presumptive criminality and vilification by the Government-associated right wing press. 13. Since all the accused are of the "left-liberal" persuasion, and the two that are widely known internationally are also prominent critics of the current government (but also of past governments, including left-wing ones), the most likely hypothesis is that the accusations are yet again the result of Hungary's unfortunate tendency to blame problems (in this case the inefficiency of the funding system? the corruption of the prior government?) on the "enemy," and to punish the enemy for them -- instead of solving the problem (by reforming the funding system, if that is the problem). 14. All indications -- and of course this is the most worrisome aspect of it all -- are that the campaign of accusation, police-intervention, and press vilification are taking place with the encouragement and involvement of the government, bent, yet again, on punishing its predecessors, critics and other "enemies" rather than on using their turn in office to solve the ongoing problems of the country -- and on setting an example of governing uncorruptly. Discussion -- but temperate discussion only -- is now invited at the ScienceInsider site from all sides. In addition to the Open Letter to the Hungarian Academy of Sciences from External and Honorary members calling on the Academy's President, Jozsef Palinkas, to take a stand in support of the accused philosophers and against the campaign of harassment (January 28), an Open Letter from members of the Eastern Division of the American Philosophical Association was also sent to the Academy's President on February 2. There is also a petition that can be signed by all supporters of the Hungarian philosophers worldwide. In addition, an article on the Hungarian Philosopher Affair appeared on February 4 in AAAS’s ScienceInsider. Worldwide commentary is also invited at the AAAS website. It is impossible for scholars and scientists living in the rest of the world to be unaware of the very worrisome developments taking place in Hungary today. There is dismay about the curbs on press freedoms, but the latest developments have struck home in the Academy. Every funded scholar and scientist in the world knows that research grants are provided to support the conduct of research and the communication of its results through conferences, student support and publications. We also know that even in the wealthiest nations, research is lamentably underfunded, especially in today's difficult financial times. We all know, too, that every funded researcher in the world is vulnerable to superficial and unsupported charges -- by laymen who do not understand or perhaps do not even believe in scholarly and scientific research -- to the effect that public money is being wasted on research that is not worth conducting and not worth disseminating. This is why research funding is accorded on the basis of peer review, by qualified scholars and scientists, and not on the basis of opinion polls, let alone allegations by every skeptic, cynic, or worse. Most important of all, whenever a baseless attack on publicly funded research happens to appear in the media -- assuming that the attack is not so vicious or personal as to be libelous or defamatory -- it is ignored and tolerated as one of the inevitable, if not always admirable, manifestations of freedom of the press and freedom of opinion. In particular, the worldwide scientific and scholarly community knows well that the occasional public venting, especially in hard economic times, of an individual's animus against research spending in general, or against a particular line of research that the critic happens to dislike, is to be expected in a Gaussian distribution of opinion, freely expressible in public. If necessary (though it is rarely necessary), supporters of research, better informed about its conduct and purpose, including the research community itself, are free to rally in the defense of research and researchers when they fall under the shadow of disinformation. But in a nation where it is the freedom of the press and freedom of opinion that are themselves falling under a shadow, and where familiar generic criticisms, so general (and superficial, and ludicrous) that they could literally have been made about every single funded researcher on the planet today -- unmerited funding, misspent on conducting and communicating unworthy research -- are coupled with far more sinister and borderline-libelous allegations -- pocketing the research money instead of using it for its intended purpose -- the first thing the international scholarly community would expect by way of a response is a rallying of the national scholarly community in defense of the research and researchers thus attacked. Instead, what we hear is that in Hungary legal action is being contemplated against the researchers that are under attack. We write to ask that the Hungarian Academy of Sciences take a prompt, prominent and unequivocal public position in support of the research and researchers thus attacked, and against such empty, ad hominem attacks, to which every scholar and scientist in the world is vulnerable, if they are allowed to metastasize unchallenged. It is noteworthy, in particular, that it is philosophical research -- mental work for which it is not laboratory results but conferences, student support and writings themselves that are the product that the research is funded to produce – that is particularly vulnerable to diffuse generic attacks on the worth of the research and the integrity of the researchers. Hence research in Philosophy and History -- a formal division of the Hungarian Academy of Sciences -- is in especial need of the Academy's explicit support. Nor is it irrelevant that philosophers -- like journalists -- are often thorns in the sides of governments, on account of their critical thinking -- critical thinking of which Hungary today seems to stand in greater need than ever in recent times. A national Academy of Sciences is the first, natural defender of the exercise of critical thinking in research. 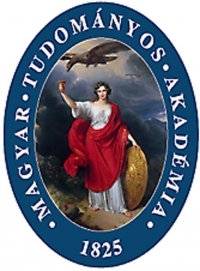 As external members and honorary members of the Hungarian Academy of Sciences we confidently but urgently await the prompt, prominent and unequivocal statement of the Academy's public position in support of the research and researchers in question. It is the principle of assessment through informed peer review -- as opposed to public trial by sinister, uninformed and unsupported allegations -- that is at stake here, and the stakes are especially high for science and scholarship. (1) A Magyar Köztársaság tiszteletben tartja és támogatja a tudományos és művészeti élet szabadságát, a tanszabadságot és a tanítás szabadságát. (1) The Republic of Hungary honours and supports the freedom of science/scholarship, arts, ... etc. (2) The sole parties entitled to decide questions of scientific/scholarly validity and to evaluate scientific/scholarly research are the scientific/scholarly researchers themselves. The Hungarian grant system has been re-built according to West-European models after 1990 and this system now is compatible with that of the EU. (i) Grants from the National Office for Research and Technology (NORT) and the Hungarian Scientific Research Fund (HSRF) support technological/industrial development projects and basic research, respectively. Calls for submitting new proposals are widely announced, the projects are evaluated by anonymous reviewers, opinions and suggestions of the reviewers are discussed by a scientific panel (their names are publicly available). The panel ranks the projects and the presidency of NORT or HSRF brings the decision on support or rejection. Reviews and comments are available for the project leaders. If the project proposal is accepted, a contract is signed by the sponsor (here the State), the project leader and his/her host institute. Interim and final reports are evaluated by reviewers and financial experts. Decision on accepting or rejecting the final report is again taken by the presidency. All documents should be retained at least for five years allowing a scientific or monetary auditing by the state or the EU (in case of EU grants). (ii) Besides the so-called philosophers’ projects, 10 other NORT-projects completed during the previous governmental cycle are re-examined by G. Budai, governmental research funding overseer. Such reexaminations are regular events and in no way are focused to philosophers’ projects. (iii) A serious misuse of the project money may carry disciplinary or criminal consequences. Such events are inconvenient for the project leader, who is responsible for the scientific or technological content of the work, but she/he is never accused by misappropriation of the money. A project leader spends not a single coin without the permission of the duly authorized financial officer of the institute and, therefore only this officer and the director of the institute can be indicated for crimes like embezzlement or fraud. (iv) Nobody from the Hungarian scientific community (some 7-8.000 people with scientific degrees) argued against the scientific excellence of professors Heller or Vajda. Furthermore, it is an absolute nonsense to state, that members of the Orban-cabinet would harass these people. The most prestigious prize in Hungary is the Szechenyi Award, donated by the state in recognition of those who made an outstanding contribution to the academic life. Heller and Vajda received this state award in 1998 and 2001, respectively, during the era of the 1st Orban-cabinet (1998-2002). (v) The philosophers who seemingly need some external protection from the Hungarian government received indeed all supports to fulfill their talent from this otherwise poor country. In fact they are appraised by this nation. Most people are [appalled] to see, why such prominent members of the Hungarian scientific life allowed themselves to be dragged into political scandals.